The Tommie Felon Show And Other Outrageous Stories by Colin Heston is a collection of short stories that is both entertaining and provocative. 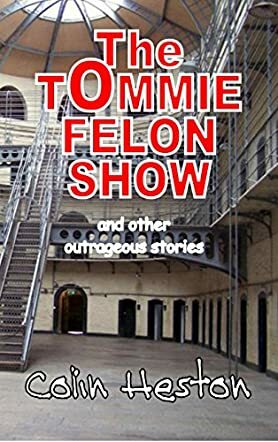 Consisting of twelve short stories, the first story is The Tommie Felon Show, which sets the tone of the material; engaging, hilarious, unique and can be labeled as a futuristic postmodern, if there is one. Colin Heston is obviously a witty and original thinker. On the other hand, Seductio Ad Absurdum, as the title seems to suggest, is an absurd seduction tale of Julia by Guilio or the other way around. Set in the major cities of Europe, it is perhaps the most relatable of all while the Rounding Error borders on the dystopian and the absurd. Colin Heston's The Tommie Felon Show And Other Outrageous Stories is indeed a collection of hilarious tales. Almost as sarcastic and cynical as Kurt Vonnegut, Colin Heston is an author to watch out for, now and in the future. This collection of original stories, however, actually examines the meaning of human existence and is a commentary on human desires, shortcomings and the society we live in, and I am trying to be polite here. While it may seem like an easy read at first, it certainly is not because one has to look beyond the words and the events in these stories to really appreciate them. Vivid and real, some of the stories seem to jump out of the pages, and this is certainly an author I look forward to reading, again and again and again.